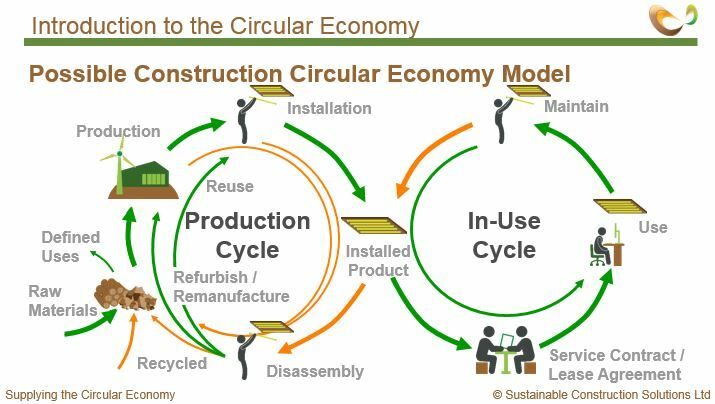 In our blog on designing out waste in the circular economy we talk about a key element being designing for reuse and recovery. But how do we ensure products can be recovered at the end of their life for reuse, refurbishment, remanufacture or recycling? Driven primarily by the introduction of landfill taxes, and a focus on diverting waste away from landfill, much investment has been made in Material Recycling Facilities or MRFs to enable the recovery of materials. However much of this recovered material is processed into low grade recyclate, such as downcycling bricks into aggregate for construction fill, and up to 50% ending up being processed into refuse derived fuel (RDF) for energy production. With ever increasing pressure on global resources, for example oil and copper which are predicted to run out within the next 50 years, we need to look at how we can recover more value from construction materials in the waste stream, or better still not let it become waste in the first place. So how should we do this? At present there is little incentive for the manufacturer to collect their product at the end of its service life. Many construction materials are of relatively low value, and due to the way they have been designed into the building, may also be costly or impractical to recover. Let’s take our bricks above. These are normally laid on a cement mortar which binds to the brick and is very difficult to remove at end of life without damaging the brick. 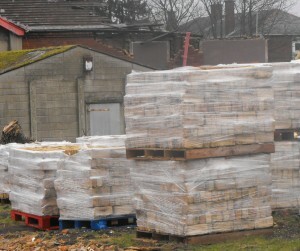 If we designed for deconstruction, we may go back to laying bricks in a lime mortar, which is easily removed, and explains why there is a good salvage market for bricks from older buildings. Laying bricks on lime mortar does take a bit longer, but due to changes in building methods, this brickwork is not normally load-bearing and is therefore rarely on the critical path of the construction programme. But we also need to look changing the current business model for construction. If the product manufacturer retained ownership of the products, there would be greater incentive to recover the materials and/or components from them at the end of their service life. This would reduce their reliance on raw materials and improve their material security, and subsequent financial security, by avoiding the fluctuations in commodity prices. This could be done using a long term lease arrangement, which could also include a service contract for more technical products. Philips Lighting has been trialling the latter on a number of projects including Rau Architects offices in the Netherlands and National Union of Students building in London. Their model provides Lux as a service to the client, and Philips provide the light fittings as part of this service contract. If a lamp fails they have the responsibility for replacing it. However, what this also does is involve the light supplier in the design, so that they can for example help maximise natural light and thereby minimise the use of the fitting, saving energy and prolonging the life of the lamp. This does however need a change of mind-set in the development community. The building is often seen as the asset, when in fact the asset is the space it provides. Likewise, companies don’t lease a building, they lease the space and services within it. Therefore leasing the building components from the supplier for the life of the building does not sound as far-fetched…. If you would like us to help you move towards a more circular business model, please Contact Us.